Enraptured by the Ford Raptor! Editor’s note: In this post, writer Matt Keegan explains what it was like to drive the Ford Raptor firsthand. Off-road performance trucks highlight the Baja 1000, a punishing nonstop desert race held each November on Mexico’s Baja California peninsula. Participating vehicles conquer mud plains, race through small villages, traverse forest land and navigate seemingly impossible-to-drive-through sandy pits in a quest for a top finish and trophy award. One such participant is the 2017 Ford Raptor — an over-the-top version of the F-150 four-wheel-drive pickup truck enhanced by Ford Performance. The keys to an F-150 Raptor were recently handed to me by Ford, allowing me to experience a taste of Baja on-road romping and off-road trekking locally. Exactly what is the Ford Raptor? In brief, it’s a modified version of Ford’s popular F-150 pickup truck, available in SuperCab and SuperCrew cab configurations. This means it has four doors; SuperCrew models benefit from an extended wheelbase, affording additional interior space. All models have a 5-foot, 5-inch box. 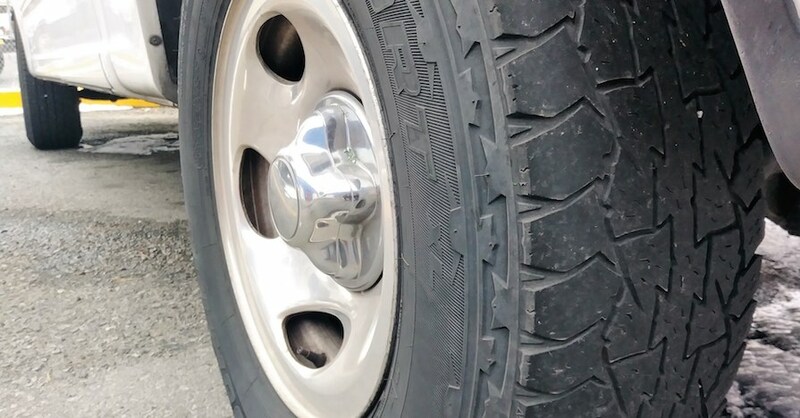 While Baja truck modifications are typically conducted aftermarket, the F-150 Raptor includes most of them as stock equipment. You’ll find such components as: upgraded Fox shocks with 3-inch-diameter shock canisters, nine-stage bypass damping designed to mitigate bottoming out over uneven terrain, and optimized suspension travel and ride height. Ford Performance also shortened the bumper overhangs, enabling this sport truck to achieve a laudable 30-degree front approach angle, a 22-degree break-over angle and a 23-degree departure angle. Lastly, the Raptor comes with 17-inch BF Goodrich KO2 all-terrain tires, designed expressly for this truck. 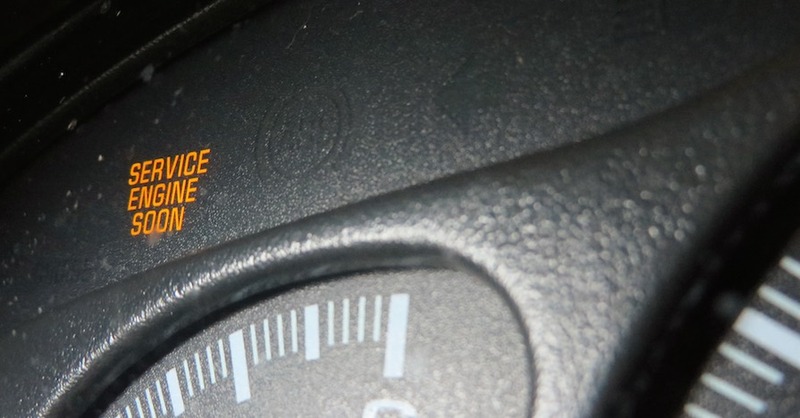 Powering the Ford Raptor is a 3.5-liter twin-turbo V6 engine. 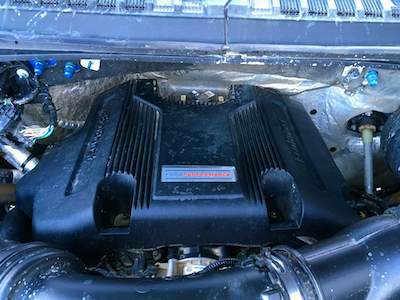 This high-output version of Ford’s EcoBoost engine delivers 475 horsepower and 510 pound-feet of torque — extraordinary numbers that outpace the previous model’s 6.2-liter V8, delivering improved fuel economy in the process. This exclusive EcoBoost version includes such upgrades as an enhanced fuel-injection system, a redesigned twin-turbocharger system with an electronic wastegate and a revamped powertrain cooling system. 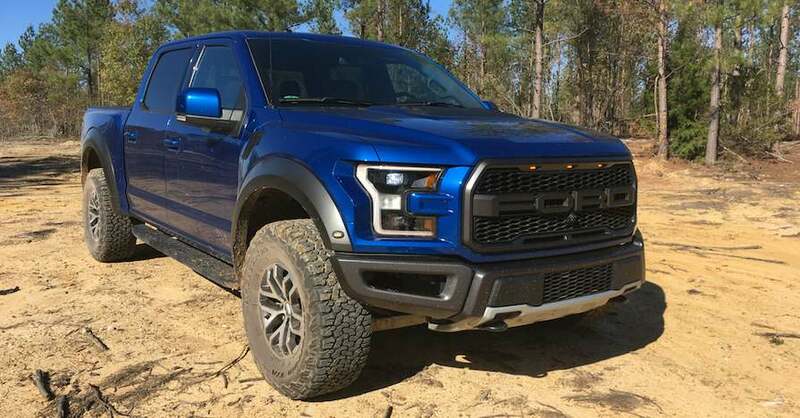 Ford pairs the Raptor with a new 10-speed automatic transmission with magnesium steering-wheel-mounted paddle shifters and fits it with a unique dual-exhaust system that offers a throaty note. You might think a massive truck designed for off-roading lacks on-road finesse. Fortunately, the Raptor is as comfortable as any other F-150 pickup truck, thanks in part to plush front seats covered in cloth or optional leather, along with unique seat-back bolsters. Combined with a compliant suspension that behaves well on asphalt, the Raptor isn’t about to leave you tired if you use it primarily as your daily driver. But it is on natural terrain where the Raptor truly shines, and that’s where I put this truck through its paces. Four hours to the west of me are the Southern Appalachians, offering the tallest peaks on the East Coast. But the last batch of leaf peepers was clogging the autumn-hued foothill roads. My second choice, the sand hills and clay pits of North Carolina, were my ultimate destination. Retired logging trails beckoned me, and I obliged. As soon as I set the front wheels on the first set of trails, I switched to four-wheel drive, choosing the 4-High (4H) mode to lock the rear differential. The path was fairly unobstructed with a few boggy areas on the way to the top of the hill. The Raptor plunged up the trail when I came upon a clearing. That’s where I switched from 4H to 4A to enjoy a special benefit unique to the Raptor — a combination of all- and four-wheel drive, where torque passes between the front and rear wheels for improved traction. No rocky outcrops awaited, but a handful of felled trees gave me a taste of the truck’s front, break-over and departure angles, an experience that only made me want to head to the nearest craggy expanse. Oh, to have an extra week with this stout truck! 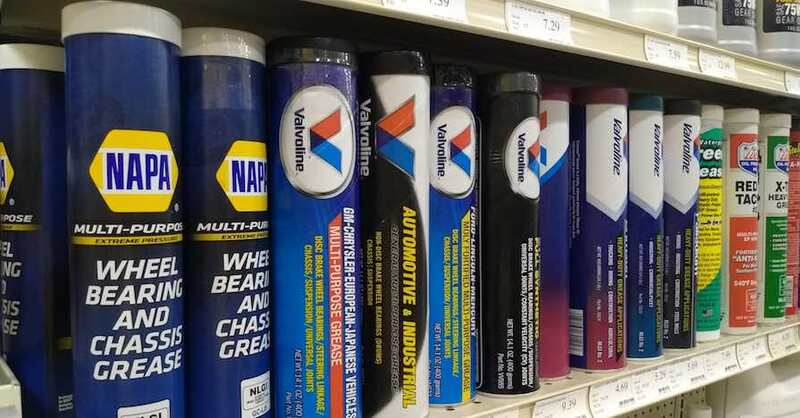 Check out all the maintenance parts available on NAPA Online or trust one of our 17,000 NAPA AutoCare locations for routine maintenance and repairs. For more information on the Ford F-150 Raptor, chat with a knowledgeable expert at your local NAPA AUTO PARTS store. Photos courtesy of Matthew C. Keegan. 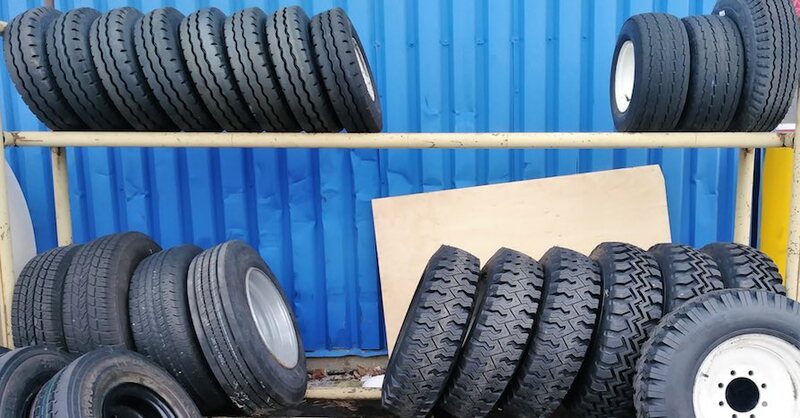 Tire Tread: What Do Your Tires Tell You About Your Driving Style?